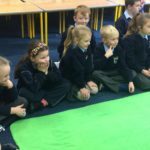 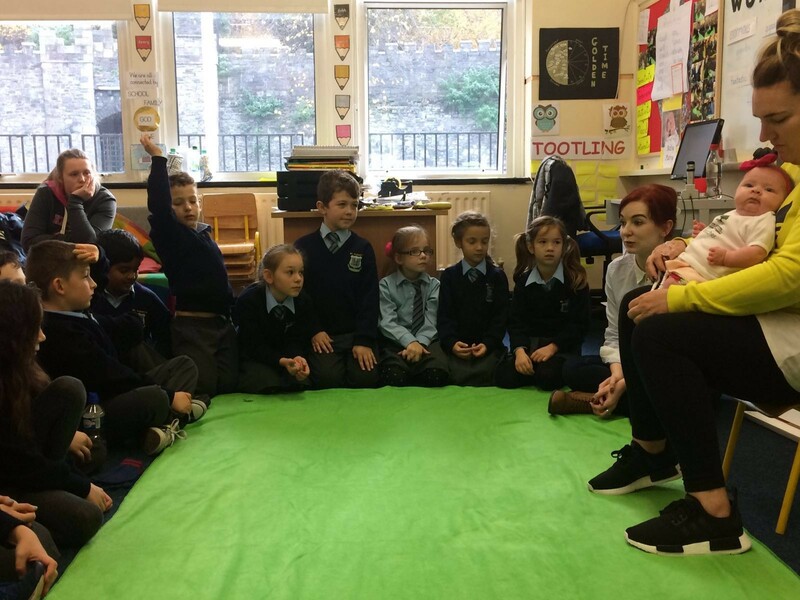 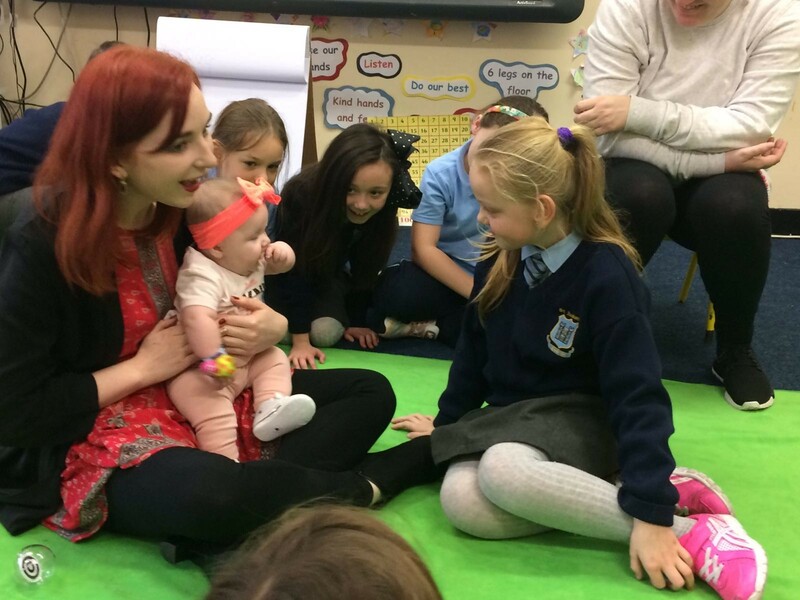 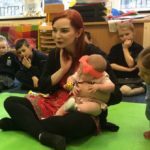 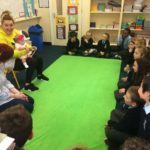 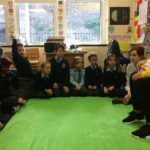 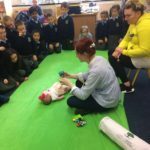 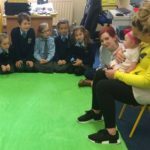 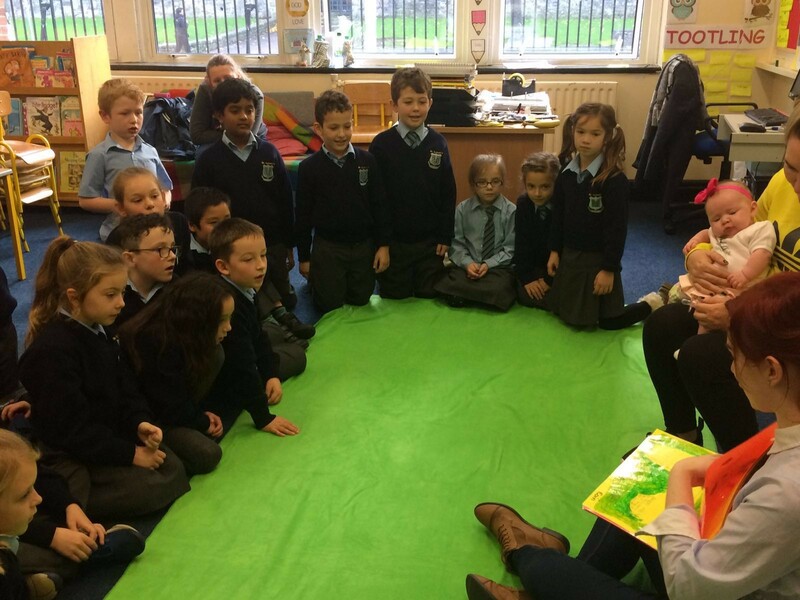 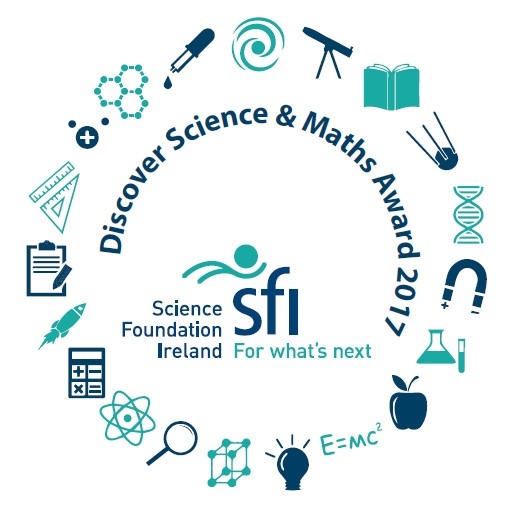 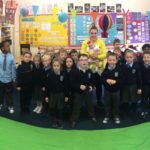 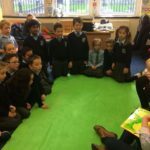 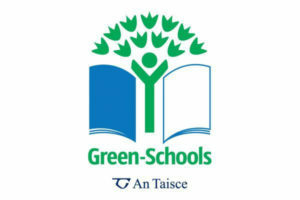 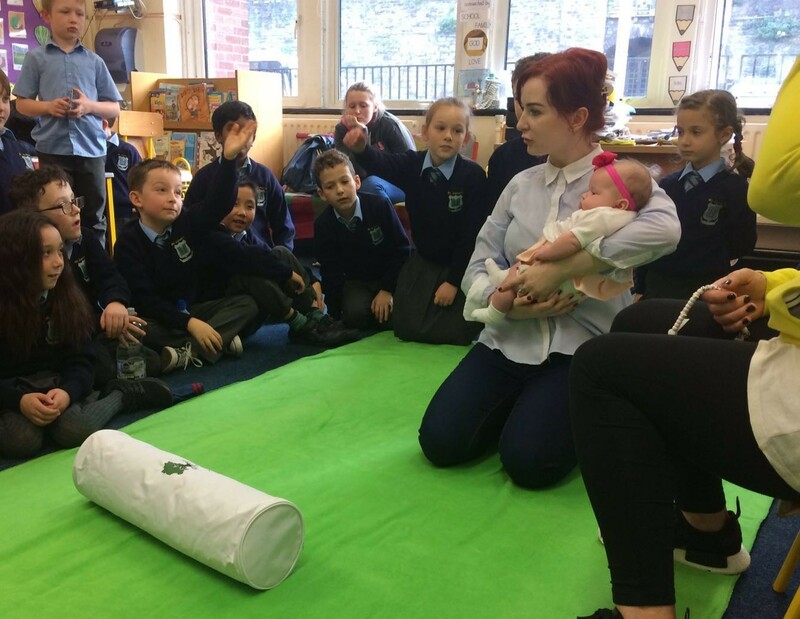 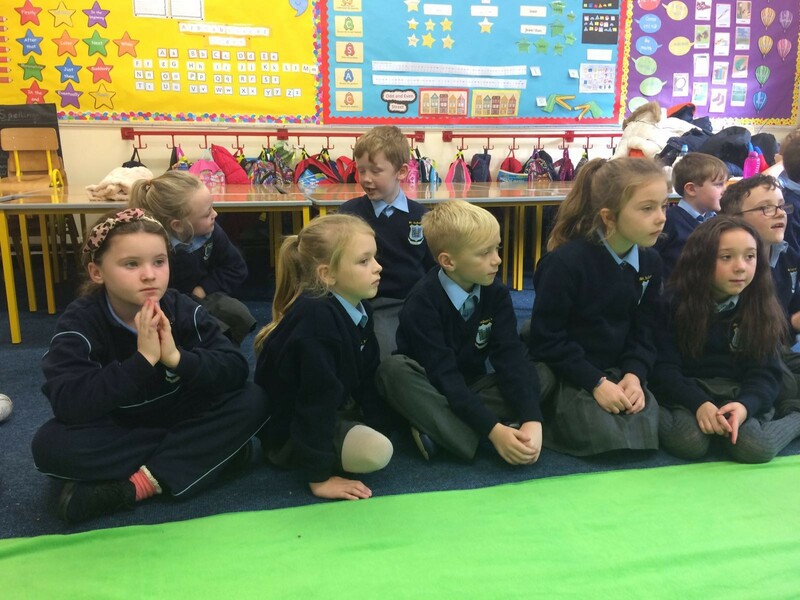 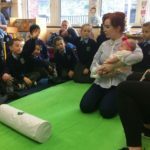 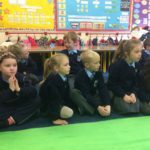 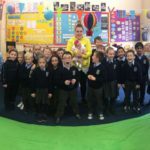 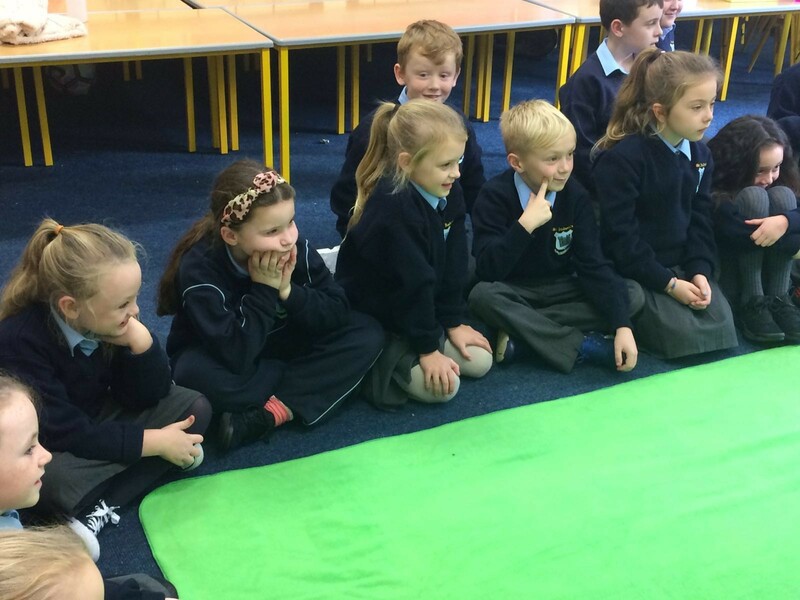 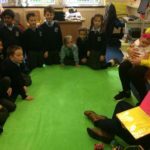 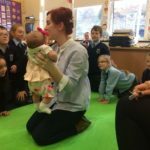 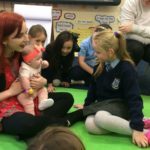 St Audoen’s became a Roots of Empathy school in September 2016 with Ms Monaghan taking the lead as our trained ROE Instructor. 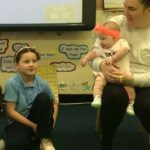 Roots of Empathy is an evidence-based classroom program that has shown significant effect in reducing levels of aggression and bullying among school children while raising social/emotional competence and increasing empathy. 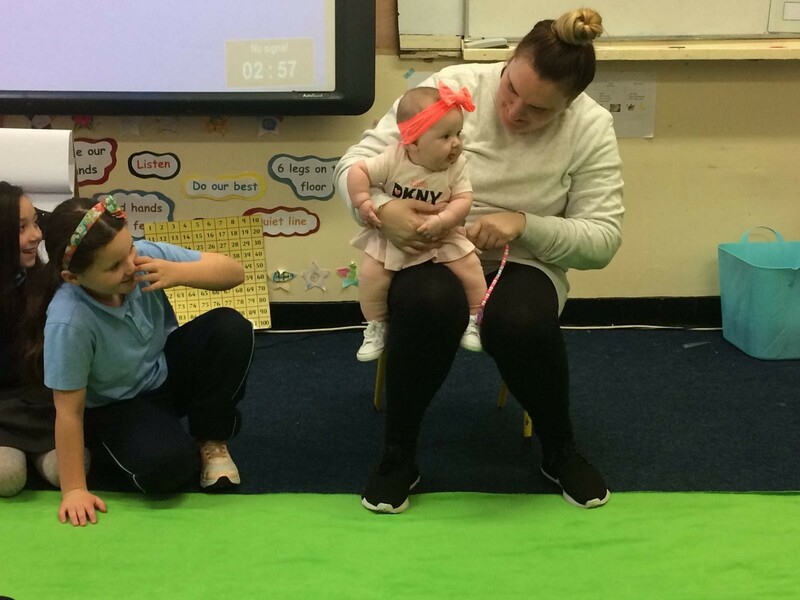 At the heart of the program is a parent and baby who visit the classroom every three weeks over the school year. 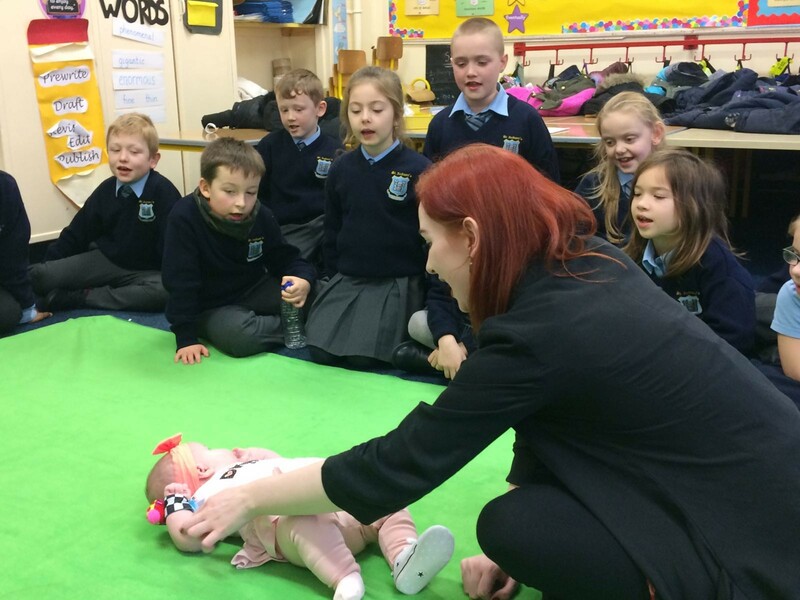 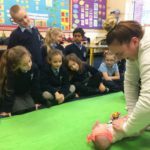 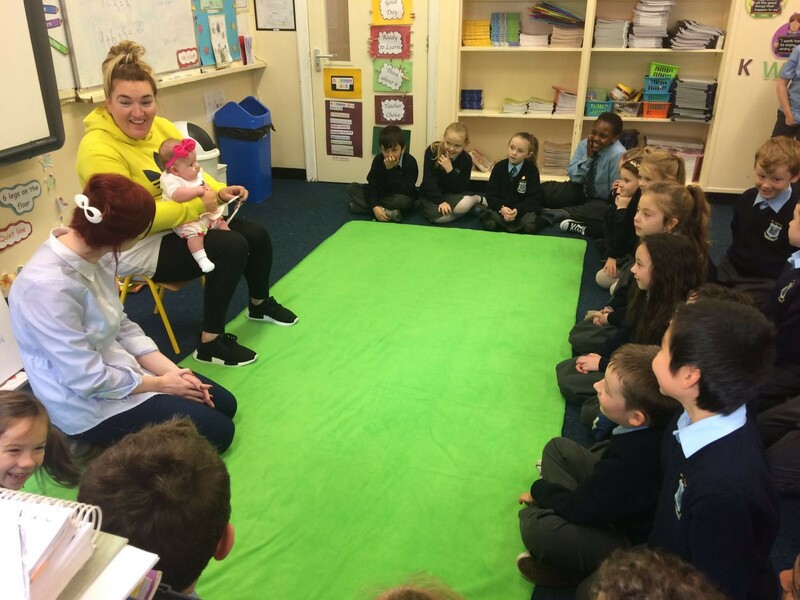 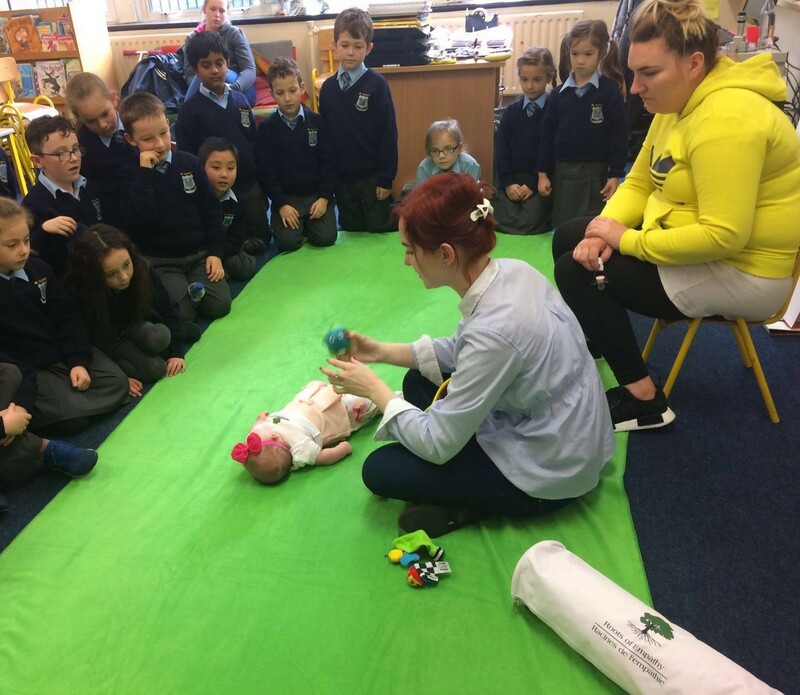 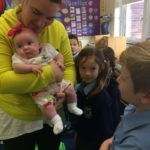 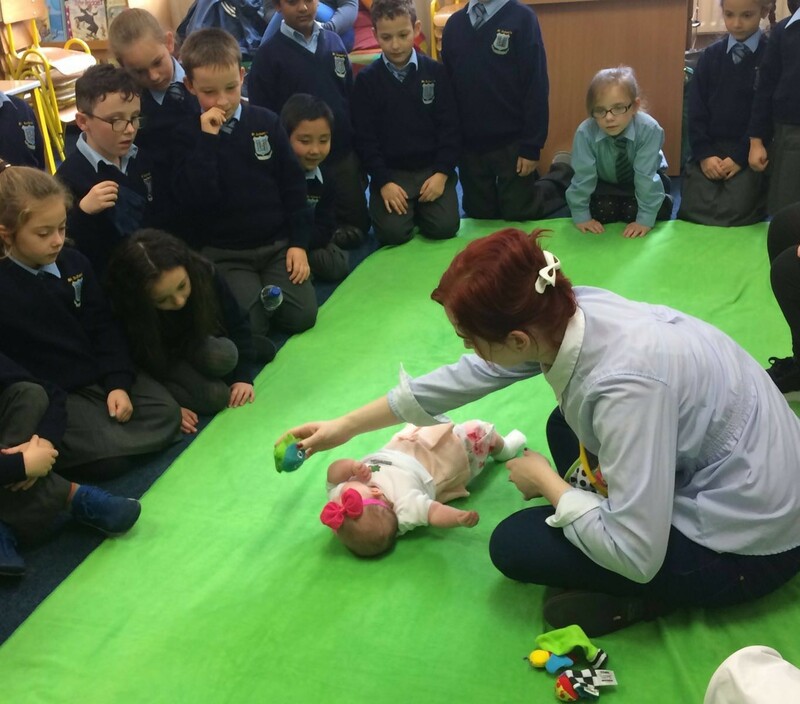 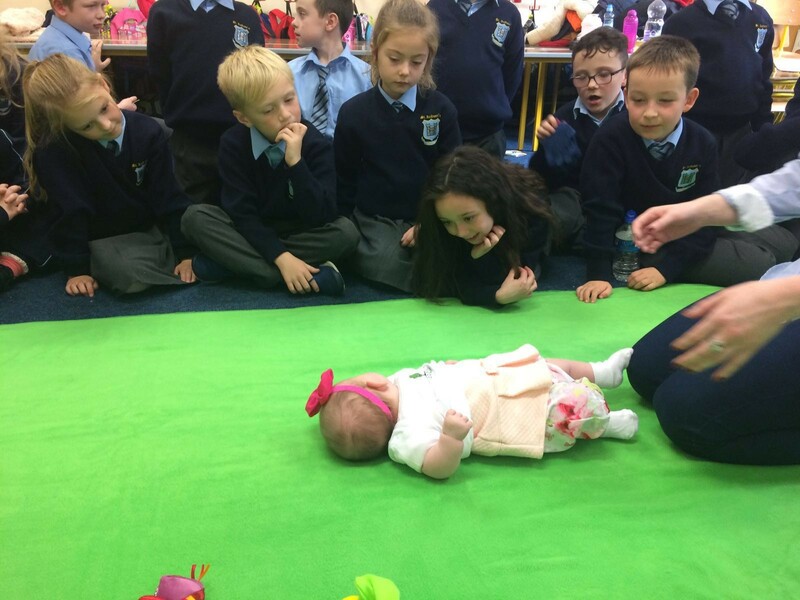 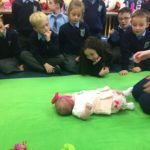 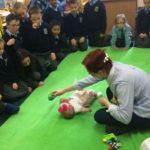 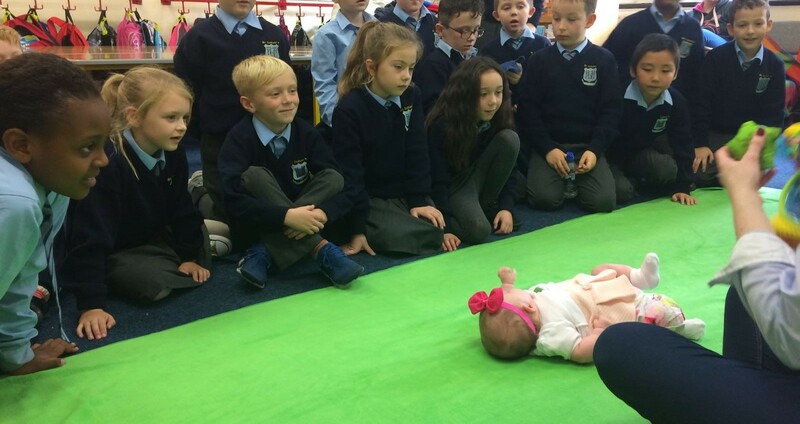 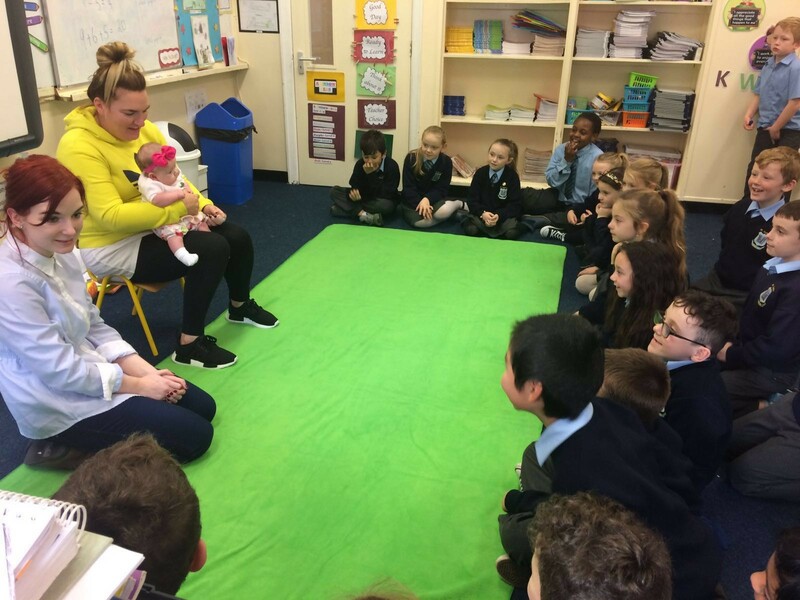 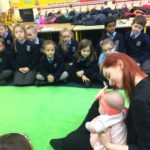 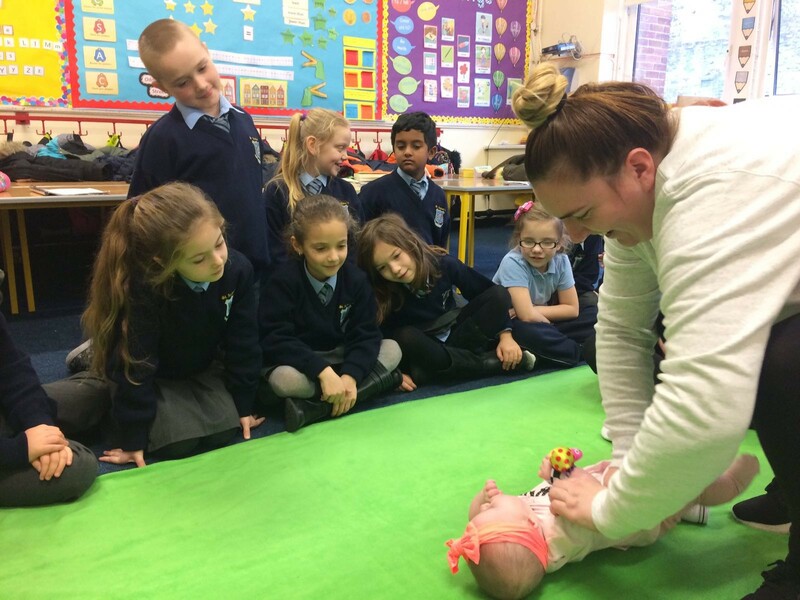 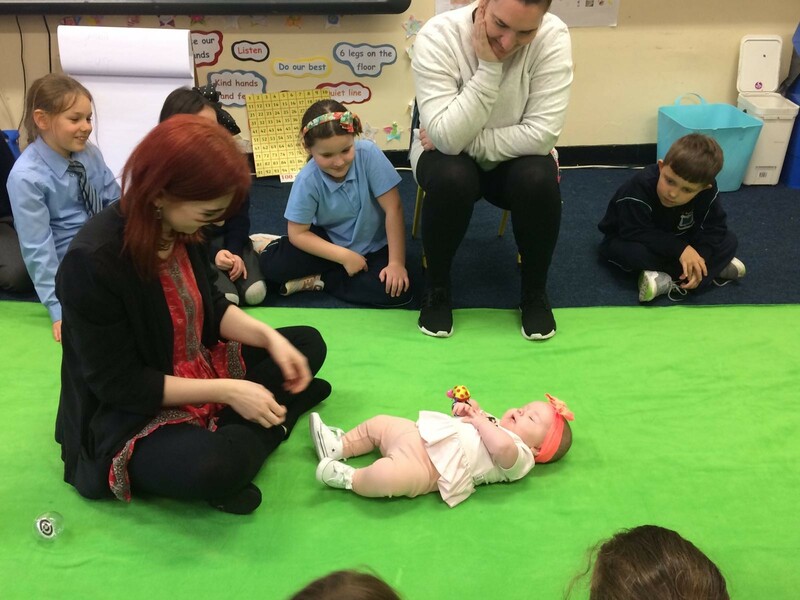 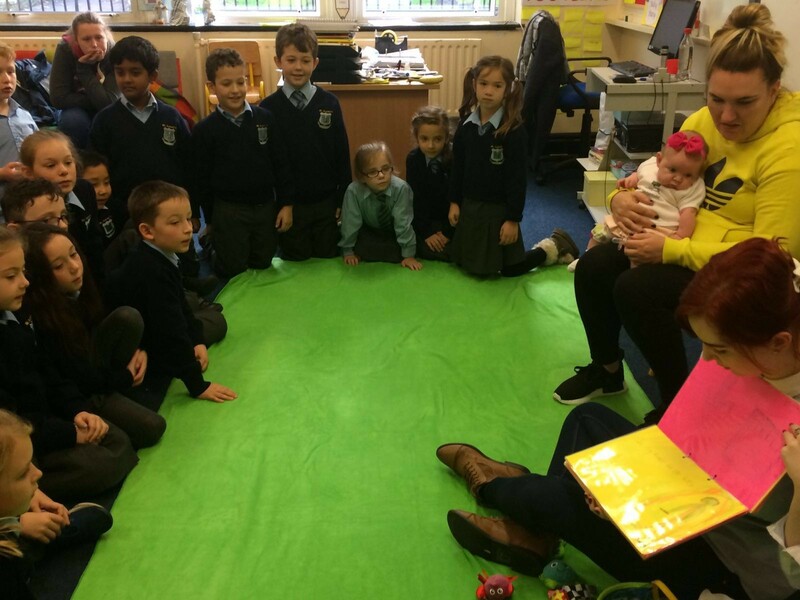 Ms Monaghan helps the students to observe the baby’s development and to label the baby’s feelings. 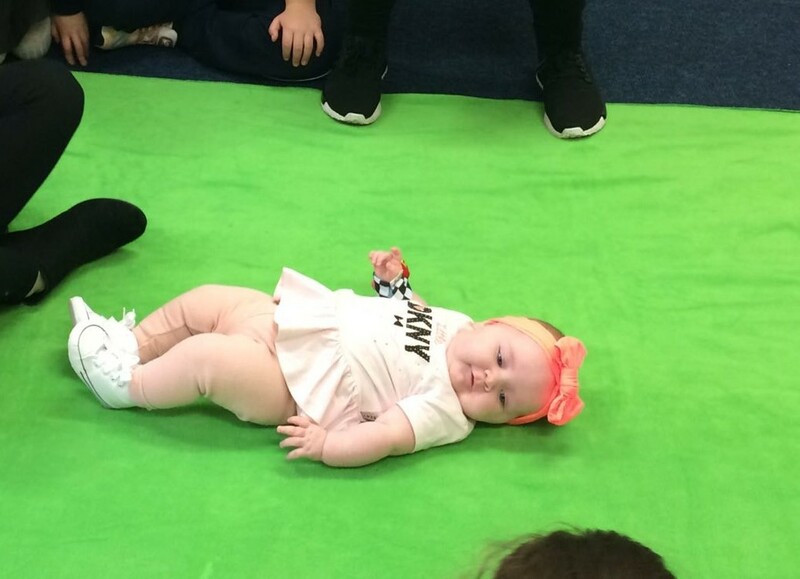 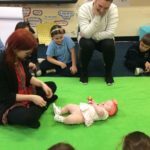 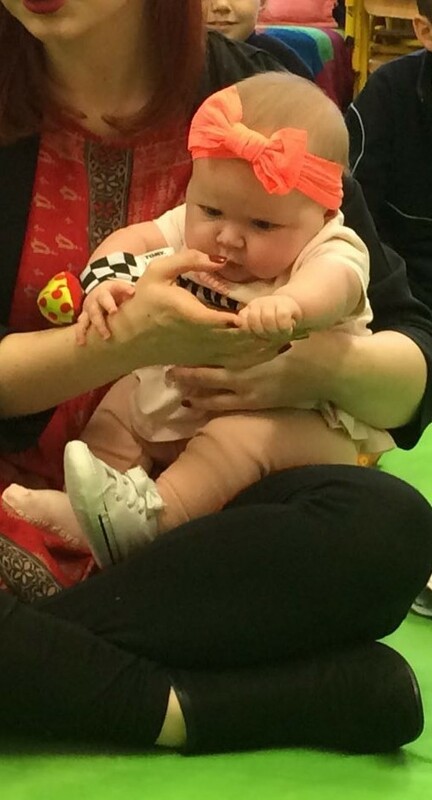 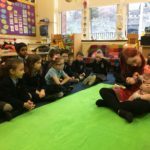 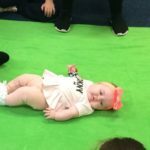 In this experiential learning, the baby is the “Teacher” and a lever, which the instructor uses to help children identify and reflect on their own feelings and the feelings of others. 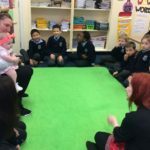 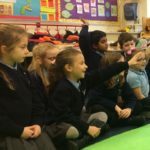 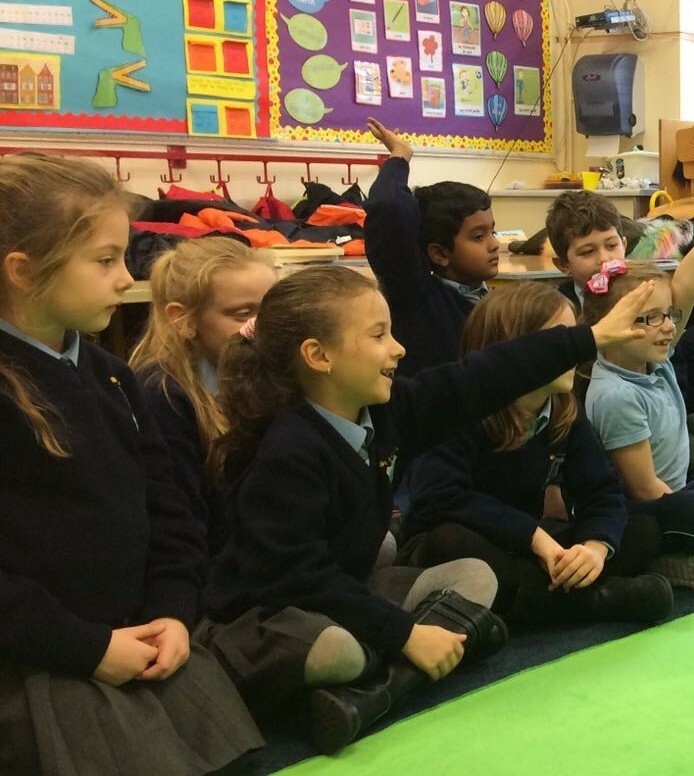 This ’emotional literacy’ taught in the program lays the foundation for safer and more caring classrooms, where children are more competent in understanding their own feelings and the feelings of others and are therefore less likely to physically and emotionally hurt each other. 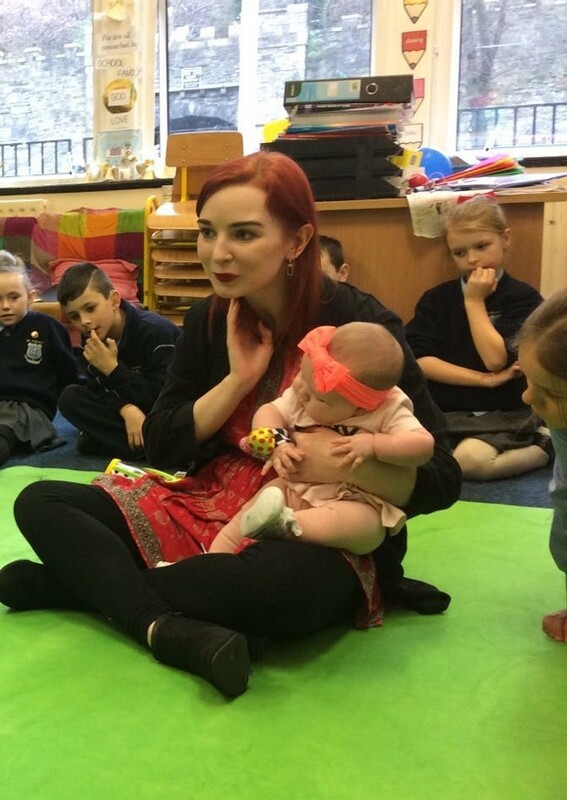 The cognitive aspect of empathy is perspective taking and the affective aspect is emotion. 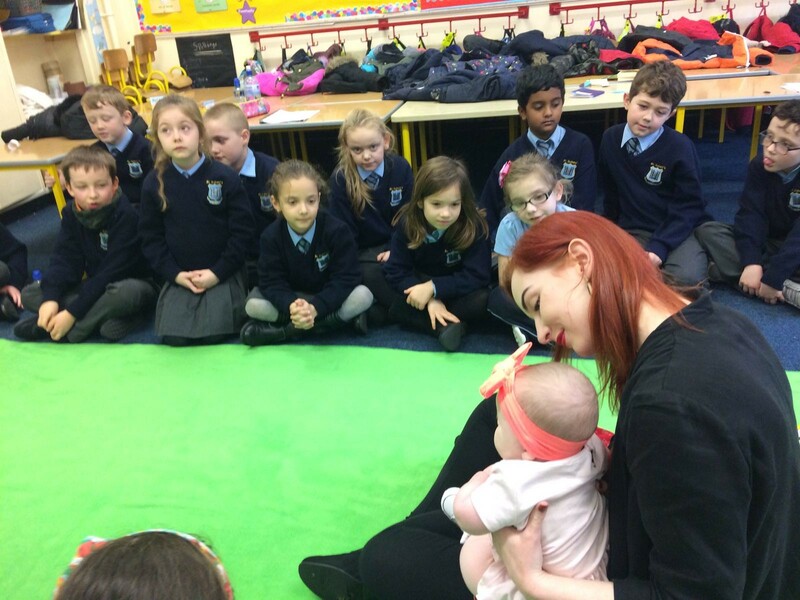 Roots of Empathy educates both the mind and the heart. 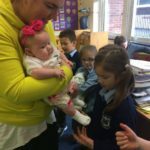 Empathy is a key ingredient to responsible citizenship and responsive parenting. 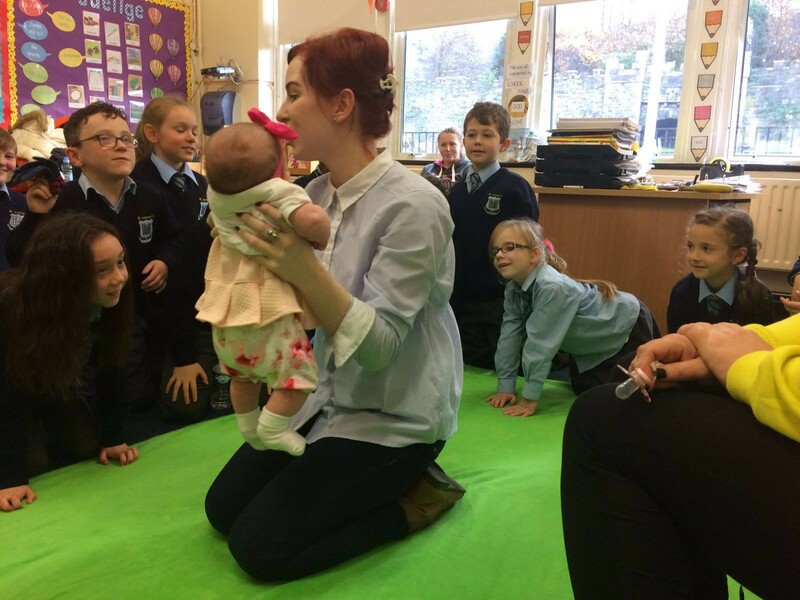 Observations of a loving parent-child relationship give children a model of responsible parenting. 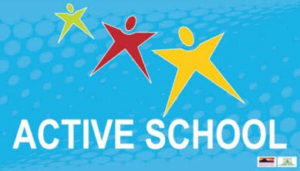 The curriculum is comprehensive and attuned to the development and interests of the children. 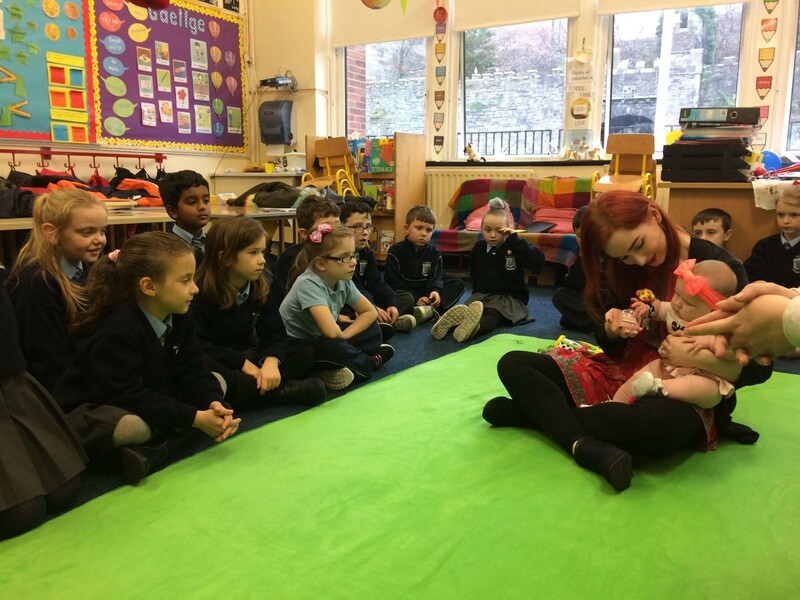 The discussion and reflection that follows each session builds solidarity and empathy and is used as a way to open the door to feelings and perspective taking. 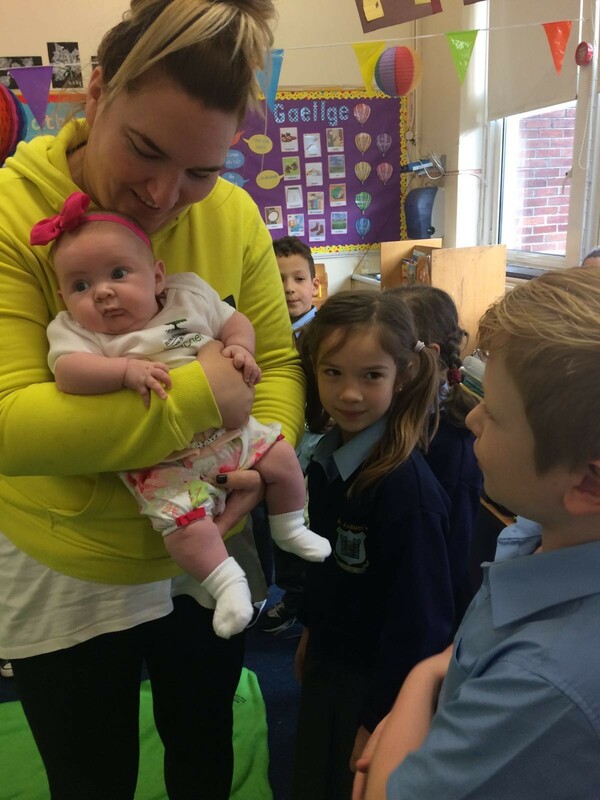 This year our lovely ROE Mam is Jennifer and her beautiful baby girl Patsy. 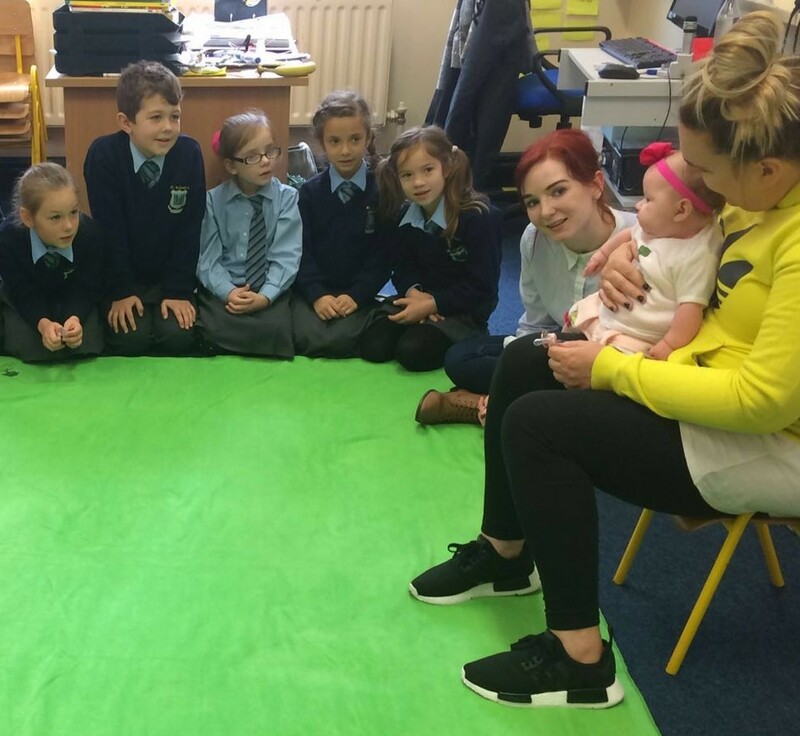 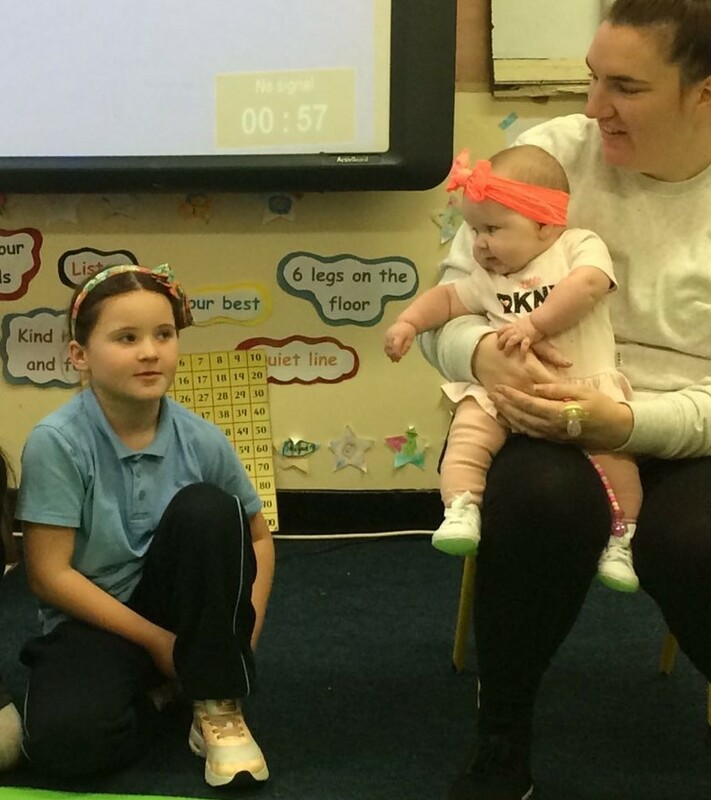 It is so special to observe the love and bond between Jennifer and Patsy and we are hugely grateful to Jennifer for giving up her time to be with the boys and girls every three weeks.